New To Me Thursday! Mello! Hello bunnies! It’s time for another New To Me Thursday! This week, I found the store Mello while out at the Pulse Fundraiser. Pretty hair and I’d never heard of the store before, so it works for me! Check out the video and then check out the store in world! Happy shopping! 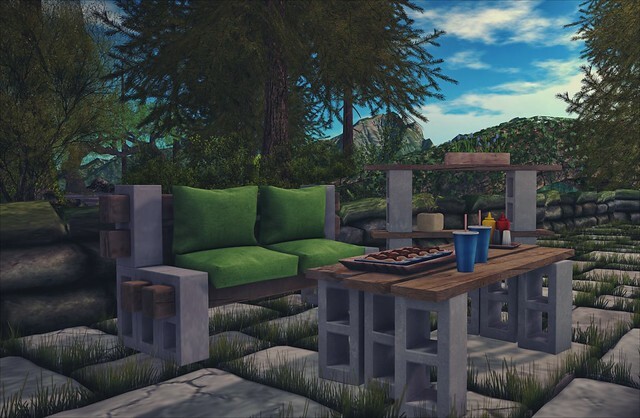 The Pulse Fundraiser opens today, June 28th, at 11am SLT. All donations will go directly to the Pulse Victims’ Fund via Equality Florida, the state’s lesbian, gay, bisexual, and transgender (LGBT) civil rights organization. I made a video just talking a bit about it and showing a few things that you could get there at the fundraiser. It’s for a good cause, so get to shopping! Hello, summer bunnies! If it’s hot where you are [like it is here! ], I hope you guys are finding ways to beat the heat! I know I would just love to hang out in some nice cool water and drink a cold drink. Have you been out to Summerfest yet? If not, you SO need to go! Today I’m wearing the Bette swimsuit by Stories&Co. I love it because of the boy cut bottoms that not only provide good coverage for your lower half, but also because it gives the suit a vintage look. It’s hard to find swimsuits in SL that don’t have basically all your business on display, so I’m thrilled to have this one! Balaclava is also at Summerfest with the SUP boards. These are so fun! There are options to lay down, sit down, paddle away, and even do some yoga! But all I wanted to do was lay on my board with my Drink Raft from RC Cluster at my side and just be lazy lazy. New To Me Thursday! Goose! Hello bunnies! It’s time for another New To Me Thursday, where every Thursday I find a store in Second Life that I’m not familiar with and hopefully find a new fave! This week I am checking out the store Goose! June Luxe Box Unboxing Video! Hi bunnies! Saturday nights are usually date nights for us, but sometimes RL obligations make it harder to start earlier in the evening. But that’s okay. I’m patient. Vintage Fair is open and Truth has this luscious Veronica Lake inspired hair named Velma there. I know I say this often with his hair, but truly, I’m in love with this. So so beautiful!